Unfortunately many of us spend hours each day sitting at a desk, which can have negative effects on personal health and posture. 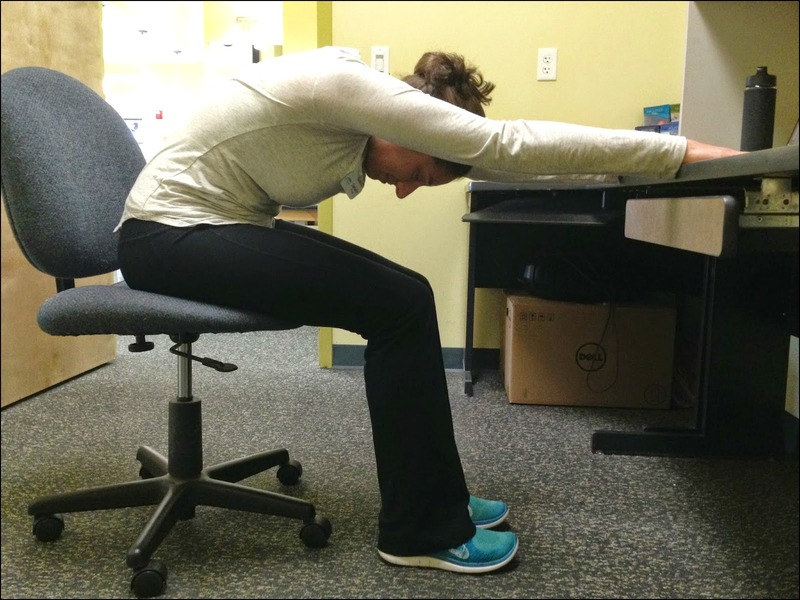 In addition to just getting up and standing or walking around periodically, there are some great stretches you can do sitting right at your desk! Hold each of these poses for 10-15 seconds and then repeat on the other side. 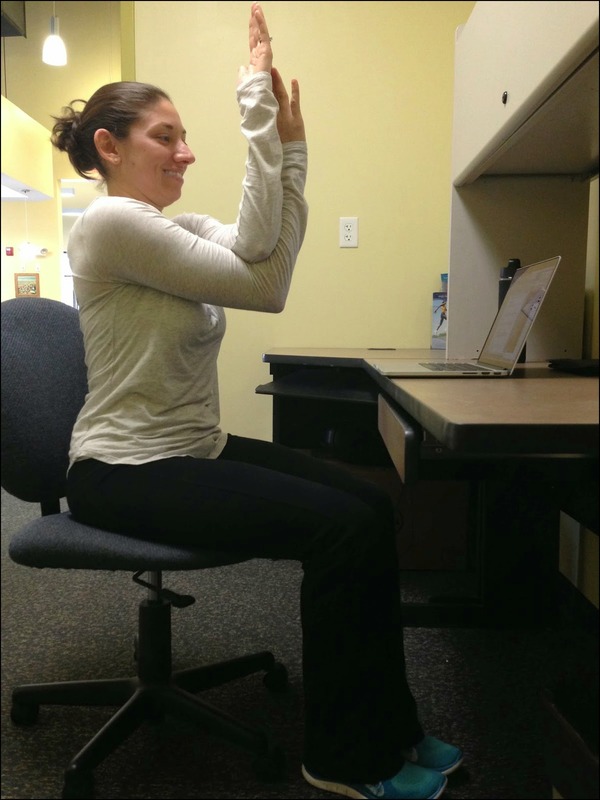 Place hands on your desk in front of you shoulder width apart. Push your chair back until you feel a gentle stretch in your shoulders and back. Begin seated in your chair with both feet firmly placed on the ground. Twist at the waist in one direction placing your opposite hand on your upper leg to assist you in the twist. Beginning seated at your desk and cross one leg over the other, ankle to knee as show in the picture below. You should feel a gentle stretch in your hip and piriformis. To deepen the stretch, gently fold forward. Move forward towards the edge of your seat. Keep one leg bent with your foot planted on the ground and extend the other leg out straight with your heel on the ground and toe pointed up. You should feel a gentle stretch in the hamstring of your straight leg. To deepen the stretch, slowly fold forward. Sit straight up in your chair and cross your arms placing the elbow of one arm into the bend of the other arm as show in the picture below. If it’s comfortable on your shoulders bring the back of your hands together and lift your elbows for a stretch across your shoulders and upper back. Don’t let sitting at a desk keep you from staying healthy and active! Get up and take a short walk and get in a quick stretch with some desk yoga! Disclaimer: This post originally appeared on the Mashpee Fitness Blog.